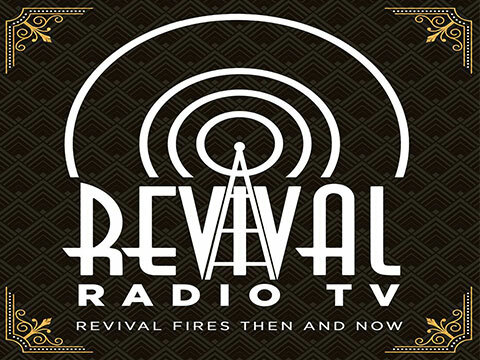 This show, hosted by Richard and Lindsay Roberts, features prayer, miracle testimonies, teaching from the Bible, and praise and worship. Teaching a generation how to live by faith in the day of grace. Today, hear "The Hope of Heaven Pt. 3" and the song "Caretaker." Join Kenneth Copeland on Believer's Voice of Victory as he shares how your covenant with God has the power to prosper you--no matter what your situation. Learn how when we're born again, we aren't just redeemed out of something--we're redeemed into something--THE BLESSING and whole-life prosperity! Kenneth Copeland teaches Bible principles that lead to victory. Biblical principles with Andrew Wommack. Gloria Copeland and George Pearsons reveal from Scripture that it is God's will for us to be prosperous in every area of our lives. Pastor Gary Keesee provides insights and solutions on the topics of finances, family and faith. Do we believe that Jesus was the Messiah, died for us, and was raised from the dead? Our perspective on this determines how we see life. Jesse shares how God is calling you to live in resurrection power--a place overflowing with life, comfort, and hope in Christ. The mission and the call of Faith Church is to change lives and set the captives free! With Pastors David and Nicole Crank. Classic teachings from Lindsay Roberts infused with humor, practical applications, and insight into the power of God's Word for everyday living. Sunday morning services with Keith Moore present praise, worship and teaching. Kellie and Jerri invite you to join them at the beach house where they share about their life and freedom in Jesus. Watch Nicole Crank deliver an inspirational honest talk about every day topics to encourage and uplift you to live your life Bold & Beautiful. Crucifixion was a horrible ordeal that Jesus endured for you and me. Join Rick Renner today as he walks us through the grueling act of crucifixion. A covenant between God and Jesus was made on your behalf. Every promise in It is backed by His Word. Jesus is risen and this unbreakable covenant is established forever. Join Kenneth Copeland for today's Resurrection Sunday special. Casual group discussion of Biblical topics. Bishop Keith A. Butler is committed to teaching the Word of God without compromise and helping believers live their faith. Your giving produces eternal reward and connects you to God's provision and favor.